Why should we define objects past mars as planets if they have no formal surface? Because having a solid, crustal surface is not one of the three criteria for an object being a planet. Because what else do you call an object that is big, round and orbits a star? Because there's a sense in which that's also true of Venus, and in other star systems of hot Jupiters. They just bestow names on things they claim exist billions of miles away. It's how they justify the billions of dollars they squander that would be better dedicated to schools and hospitals and communities and real science. Not pseudoscience. They meet the definition of planets. A planet doesn't have to have a solid surface. If it orbits the sun, dominates the region of its orbit, and it big enough for gravity to make it round, it is a planet. Ahh, but they do have a "formal" surface. According to the Ancients, planets are "wanderers". If they wander, then they're a planet. Sounds simple to me. Because they DO hsve a surface underneath all that atmosphere is why. 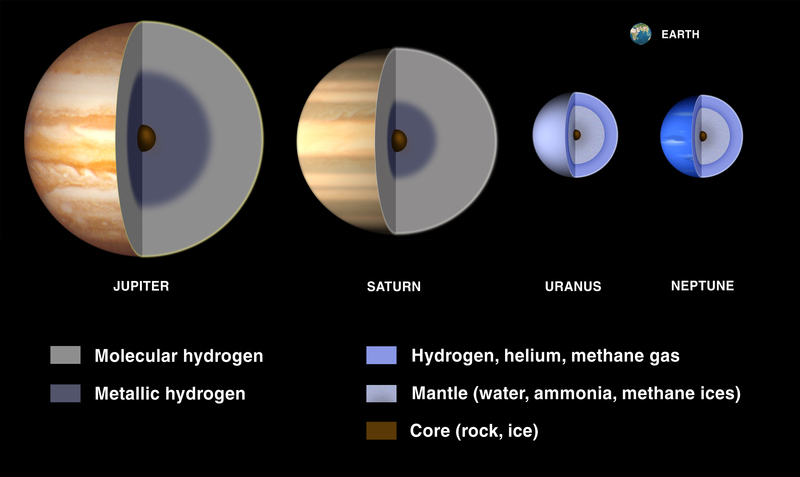 Planets chemically differentiate with iron and nickel forming the cores of ALL the planets. That is WHY they have global magnetic fields stronger than Earth's magnetic field..
Because having a 'formal surface' isn't part of the 3 criteria that define a planet. If some scientists say that we live in a black hole, then why are we not travelling to a centre or feeling tidal forces? Is light affected by tidal forces of a black hole?